Ever since the New York Knicks got rid of Kristaps Porzingis, fans have been going crazy with all of the speculation about which free agent star might be coming to the team in the offseason. One of the biggest rumors out there right now is that the Knicks will somehow get Kevin Durant and possibly another big-name player. 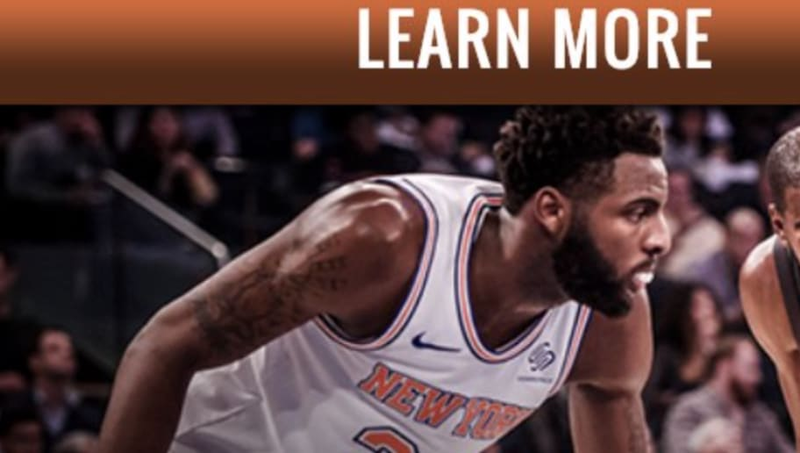 Well, the Knicks just used a picture that included Durant in their efforts to get fans to renew their season tickets. The guy who tweeted out the screenshots also said that the Knicks have taken the picture down already. It was obviously an effort to get typical Knicks fans excited, but come on, people. The fan base is known for taking rumors as fact, so this tactic will only blow up in the organization's faces if and when it doesn't all come to fruition. The idea that Durant is likely to depart the Warriors after winning a possible third straight title -- they can offer him the most money, too -- is nonsense until proven otherwise. For now, all the Knicks can do is hope.